We would like to thank you, our loyal readers, for making us the 2013 Webby People’s Voice Winner in the politics category. Our win this year marks the sixth time that your votes have made us the recipient of a Webby Award, which honors excellence on the Internet. And, as always, we are grateful for your support. Our fellow nominees in the category included The Nation, Politico.com, 92Y Campaign for the American Conversation and Truthdig, this year’s Webby Winner for best politics website as determined by a panel of judges. Truthdig’s victory this year ends our three-year run (2010-2012) as the winner of that award. 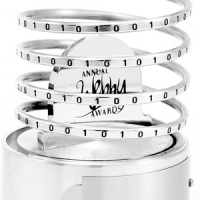 The Webby Awards are presented by the International Academy of Digital Arts and Sciences. This year’s competition attracted 11,000 entries from all 50 U.S. states and over 60 countries, making it the “biggest in our history,” according to the IADAS.